It’s not about agreement, but the quality of the argument. 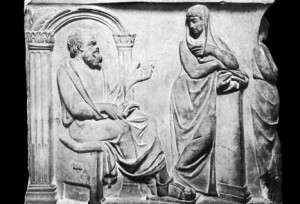 Socrates taught us to learn through logical disputation. I suspect that this may be put to the test over the next few days. I suppose that most teachers have mixed feelings about marking student’s work. This is a situation that probably pertains no matter whether working in a primary school or a university. These days, the majority of my marking activity is undertaken in relation to post graduate courses, which means that I often read work that is interesting and thoughtful, and sometimes provocative and challenging. Recently I have marked assignments that have taught me about various aspects of education in India, and a dissertation that challenged my views about setting children for English lessons in a primary school. Occasionally students express ideas and opinions with which I am fundamentally in disagreement. This can in itself be interesting as the marking process is not about having to be in accord with the ideas advanced, and if the student presents a good argument supported by appropriate referencing and sound evidence, it is good to be challenged. There have been times when I have read statements that have made me raise my eyebrows in surprise. I recall once marking an essay written by an undergraduate student that opened with the never to be forgotten words “A little known Swiss psychologist called Piaget…” At the time I was tempted to write “little known to you maybe, but not to most students of education!” I resisted the urge to be slightly sardonic, and simply directed the student to some reading that I hoped might expand their knowledge of one of the most influential developmental psychologists of the twentieth century. Early this morning I opened my emails and found some work forwarded to me by an undergraduate student who was asking for some initial comments. My first impressions were favourable. The introduction to an assignment addressing teacher understanding of behaviour difficulties was well written, with reference to some interesting literature and a well-constructed description of the framework upon which the work was to be developed. So far, so good, but then I came across a phrase that made me take a sharp intake of breath. “Children who cannot abide by classroom rules,” argued the writer, “should be excluded from the school and educated in a separate unit where they cannot be disruptive of lessons.” Reading on I anticipated, or at least hoped for, a qualification of this bold assertion. However, two pages further on and my desires had not been realised. Teaching is a difficult enough task, argued this student, and if children make it even more so by disrupting lessons they should simply be removed. Reading to the end of this work, which presented a lot of emotion, but little evidence upon which to base a logical argument, I found myself wondering how to respond. I most certainly find myself at odds with the sentiments expressed in the assignment, but did not simply want to express my disagreement or disapproval. I was far more inclined to write a response debating the points made. But having reflected on the contents of the essay, I eventually decided that rather than putting my thoughts on paper, I would invite the student to meet and debate the issues. Having decided on this course of action I emailed the author of the work asking her if she would like to discuss her assignment, and suggesting that the work was well written, but that she needed to strengthen her arguments if she really believed that excluding children from lessons, or even from school was a good idea. I made it clear that I didn’t agree with her perspectives, but hoped that she might be able to justify her suggestions. A reply came within an hour welcoming my invitation and suggesting that all alternatives to exclusion have been shown to fail. “Why don’t you put my arguments on your blog?” She asked. “I think you will find that most teachers agree with me and would like to see trouble makers removed from schools.” Now there was a challenge I couldn’t resist. I look forward to meeting with this interesting student and to seeing how she builds a case for her assertions. Why is it that sometimes I behave badly? Whenever we hear of behaviour being discussed in schools, it is almost always in the context of “difficult children”. Asking teachers about those pupils who they have most difficulty managing and they will inevitably name someone, usually a boy, who they describe as a behaviour problem. There is therefore always the potential when delivering a course with the words “social emotional and behavioural difficulties in the title, that some colleagues will attend in expectation of solutions and a quick fix for their behaviour management issues. 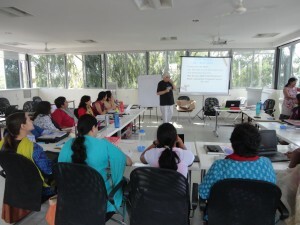 This week, students attending the MA is Special and Inclusive Education here in Bangalore, are considering aspects of the social and emotional needs of children, which inevitably means that there will be some debate around behaviour. But being a masters level course, this week is not about “tips for teachers,” though we hope that along the journey they will reflect on what they discuss and have ideas and strategies to apply in their classrooms. 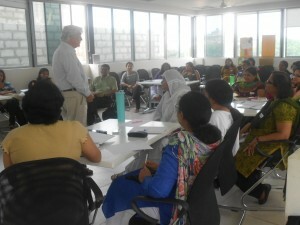 My colleague John Visser began yesterday’s session by challenging our students to reflect upon their own behaviours. When and why do they behave badly? What are the consequences of this poor behaviour? And who is affected by the outcomes? More importantly, how de we feel and react when children behave like this in our classrooms? Throughout the week we hope that students will consider not only the nature of what is seen as unacceptable behaviour, but will also look at causal effects, helping children to understand their own emotions and social interactions. This will be managed through a series of activities through which our students will examine theoretical perspectives in practical terms. Whist yesterday’s session started quietly, as participants came to terms that their own behaviours were being placed under the microscope, they soon warmed up an began to express their own feelings and experiences. Every bit as important as as the input from tutors is the jousting between students and the built in time for reflection. It is already obvious that this is going to be a lively and enjoyable week. I have no doubt that there will be conflicting views expressed and strong opinions upheld. But this is all part of the cut and thrust of studying on the MA in Special and Inclusive Education. Tomorrow (Wednesday) we have an open day for visitors interested in the course. Why not come along and meet us? Time to come clean about my truancy! Was this an educational experience? Writing today feels a little like a visit to a confessional; or at least how I imagine it might feel, never having actually been to confession. Truancy was the topic of the morning. When I arrived at the university this morning I was greeted by a colleague who, having read my piece on this blog yesterday (On the school roll, but more likely on the beach) was eager to tell me about an occasion when he had skipped school in order to join a friend on a fishing trip. It was the only time he behaved in this way, and he could recall how he had felt anxious all day, lest he should be caught. When his father discovered this heinous crime (he tells me he was “grassed on” by his sister), he was made to write a letter of apology to the head teacher of his school, and accompanied his father to deliver it in person the next day. He recalled this event in his school days as one of the most embarrassing of his life. “So, did you ever play truant?” he asked me. Later this morning, thinking about this conversation I suddenly realised that my assertion of innocence had not been wholly true. However, reflecting on this, and the occasion when I did deliberately miss school, I found myself wondering about how I might have regarded this situation had I been the head teacher of my school at the time. The date was 28th January 1970. The South African national rugby team, the Springbocks, were scheduled to play a match against the Southern Counties at Kingsholm, the home of Gloucester Rugby Club, during their tour of the British Isles. I was a keen rugby player, representing my school and playing for a local club, and a supporter of Gloucester Rugby Club at this time. Under other circumstances, and had it been another touring team such as the New Zealand All Blacks, I would have been eager to attend the game. However, this was a tour taking place during the terrible apartheid era in South African history. Nelson Mandela and many of his colleagues were in prison, and the Springbok rugby team comprised only white players. During the week prior to this sporting event I had been involved in organising a meeting of my school’s debating society, where the motion of the day was “It is more responsible to devote an afternoon in opposition to a racist rugby tour than to attend school on that afternoon.” Along with several friends at school at this time I was committed to the activities of the anti-apartheid movement, and was totally opposed to the rugby tour. The head teacher of the school, having noted the debate, attended by no more than forty pupils, and in particular observing that the motion was carried by a significant majority, had advised us that he would not tolerate any student playing truant in order to join a political demonstration. I cannot say that I did not hesitate before going against his advice, and with a few friends joining several thousand demonstrators on a march through the city to the venue of the match. I like to think that we were in good company as we marched alongside such eminent figures as the the Bishop of Gloucester, Basil Guy, and a young future cabinet minister Peter Hain. It was with a degree of apprehension that we returned to school the next morning, and sure enough we were soon stood before the head teacher. He lectured us on our responsibilities to our studies, though I recall he also listened as we, with what I suspect was a somewhat superior air, responded that we felt that whilst there were students in South Africa being deprived of their right to educational resources because of the colour of their skin, we had a greater responsibility to protest. Having courteously heard our arguments he duly passed sentence and we spent the following evening in detention for an hour after school. The punishment for our actions could have been far more severe. Had he wished I suspect he could have suspended us from school for an extended period. We later discovered that a number of teachers had intervened on our behalf, using much the same argument that we as offending students had offered, though clearly with more authority. I recognise now, of course, that our actions could not have gone unpunished, and that justice had to be seen to be done. Recalling this event this morning, I found myself asking a number of questions that probably never really crossed my mind at the time. Was the action we took at this time justified? It would be pretentious to suggest that our participation in this protest on the day made a significant contribution to the ending of apartheid, though I do believe that the sustained efforts of leaders of the anti-apartheid movement such as Fenner Brockway, Trevor Huddleston and Gordon Brown in the UK did have a major impact. Had I been the head teacher of my school at the time, how might I have reacted? With a responsibility for managing a school and overseeing the discipline of my students, would I have tolerated the disobedience of the students in my charge? Could I have condoned truancy, no matter what the cause? Did I appreciate at the time the difficulties that I, along with my friends, might have presented to those teachers who spoke up on our behalf? The wisdom of hindsight is a wonderful thing. I like to think that the experiences of the days surrounding this event contributed something to my education and compensated for the lessons that I missed for one afternoon in January 1970. You may have your own views on this and may indeed be able to see important factors that I have overlooked. Reflective teachers hold the key to future classroom improvements. 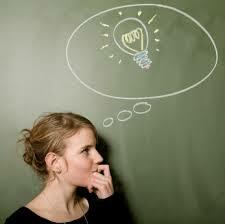 Reflection before action can often help in addressing classroom challenges. The conversation I had with a local teacher Susan (not her real name) about her pupil John (also not a real name) a while ago had been stored somewhere in the back of my memory. However, when the telephone in my office rang just as I was about to leave for home this evening, the sound of Susan’s voice, clearly distinguished by a north east of England accent, immediately brought our discussion back to the surface. In October Susan had come to see me to discuss John and the difficulties that she was experiencing managing his behaviour in class (Who has difficulties with behaviour? October 24th). After some debate we had come to a consensus (at least this is my interpretation) that John did not necessarily see that he was behaving badly, and that the need for change might be far removed from his personal agenda. During the course of our meeting, Susan and I discussed the idea that if John could be encouraged to take some responsibility in class and enabled to see that his contribution in school was valued, this might have some impact upon the way he behaved. We had also explored the possibility of John recording his achievements and good behaviour in order to bring these to his own attention and that of his peers. Susan rang today to report progress with John since we had met in October. I could tell immediately from the tone of her voice that she was going to have some positive news to report. This is a relatively short period of time and I would have been surprised if she had informed me that there were no longer any difficulties. However, I was pleased to hear her report of the progress that has been made. Following our conversation, and being a first rate reflective teacher, Susan had given a great deal of thought to how she could support John, and hopefully improve the classroom situation for all involved. The plan she developed is a clear indication of her creativity and imagination. For more than a month now John has been the classroom reporter. At the end of each day, using an audio recorder he creates an account of the day’s activities in the classroom. Susan has encouraged John to make these audio reports as if he is going to present them on the evening news. She has asked him in his reports to consider the day’s happenings from a personal perspective with a focus upon the part that he has played in all of the events that have taken place. The reports usually last no more than two or three minutes, but at the beginning of each day, John plays these to the whole class, after which for ten minutes they discuss what he has had to say. His peers look forward to this morning ritual and their enthusiasm has had a positive impact upon John. He enjoys being the centre of attention in the class and has become much more focused upon the day ahead. Several times during each day his classmates make suggestions about what he might record; these are usually based upon their own personal interests and reflect the natural egocentric behaviours of many primary school children. John enjoys this attention as it makes him feel important and confident about his own role in the class. Susan reports that John is now much more settled in class and appears to be enjoying lessons more than was previously the case. He still has occasions when his behaviour challenges her ability to manage the class. When this is the case, the morning discussion session sometimes helps him to reflect upon why the day went badly. I got the distinct impression that both Susan and John are much happier than they were earlier in the term. As we discussed during our meeting, there is seldom a “quick fix” for issues related to behaviour, self-esteem or relationships, but reflective teachers such as Susan instil within me a great confidence that with appropriate levels of commitment improvements for the benefit of children and teachers who experience difficulties can most certainly be made. Who has difficulties with behaviour? Whilst children do not necessarily see themselves as having behaviour problems, teachers certainly do! I could see that this was not going to be a straight forward conversation. Susan, (not her real name) a newly qualified teacher who began her first teaching job in September had found me in the coffee bar near the university library and clearly wanted some reassurance. We had had several conversations during her years as an undergraduate student at the university, and I knew that she was a bright and thoughtful young woman and very committed to her profession. I also know that she is not the kind of teacher who looks for an easy solution, but is more than capable of thinking her way through complex issues in her classroom and coming up with ideas to improve her situation. The conversation, though a little convoluted at first, did improve as we shifted the focus to looking at the situation from the perspective of the pupil. I am quite sure that John (also not his real name) does not see his behaviour as being problematic. To John, the way he behaves is probably the way he has always behaved, and he is unlikely to change his behaviour unless he can see how such a change might benefit him. The person with the difficulty here is Susan, who is clearly frustrated and confused and wants to do the best she can for John and the rest of her class. However, as is often the case, Susan has become focused upon John’s behaviour and its consequences and has started looking for a means of intervention rather than re-examining the cause. 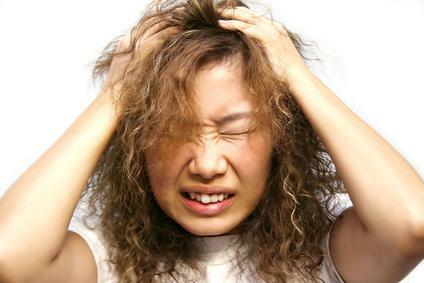 Many pupils who present with challenging behaviours appear to be quite unperturbed by their actions. Whilst they may be causing havoc all around themselves, this does not significantly impact upon their own situation until such time as an adult intervenes, usually to impose some form of punishment or sanction. Before long a cycle of poor behaviour, punishment and resentment becomes the norm and this pattern is extremely difficult to break. The causes and consequences of negative behaviour are discussed in classrooms far less often than the behaviours themselves and as a result the critical understanding that might assist in the resolution of problems is rarely gained. There are no quick and easy solutions to this situation. Susan and I discussed how John might be enabled to review his own behaviour, and how he could be encouraged to discuss strategies that may enable him to consider how he can manage himself more effectively in class. You will note the use of the terms “might” and “may” in the last sentence; I have never believed that there is a single solution to any challenge in the classroom. We talked about the possibility of supporting John in raising his self-esteem and taking some responsibility in class, and before long Susan was formulating ideas for how she might implement a system of daily self-review and personal planning for her wayward pupil. Ideas about how John could be encouraged to record his good behaviour were considered and I was happy to just listen as Susan began to unravel the situation and devise new strategies. After an hour’s discussion I don’t believe that we necessarily solved any of Susan’s problems. However I hope that having an opportunity to talk to someone about these may have enabled her to think about her situation differently. Susan left with a set of ideas that she intends to apply in her classroom during the next half term. We agreed to meet again in a month or so in order to review progress. A shared learning experience in which everyone appears to be behaving very well! As I am working here in Northamptonshire, my colleagues Jayashree, Johnson and John are teaching on the MA in Special and Inclusive Education course in Bangalore. News is being filtered through to me from students and tutors and it is evident that an enjoyable week is being experienced by all involved. I look forward to being with them next in September when we can share our experiences and continue to learn from each other. This week the students on the MA programme have been considering issues related to behaviour, a subject guaranteed to be the focus of discussion in all school staffrooms from time to time. One of the tasks that the students have completed this week is an analysis of their own behaviours and why they act and react in the ways that they do. Teachers often focus on the behaviours of children and when they do so it is invariably upon those that they find challenging or unacceptable. I have often heard teachers use expressions such as “bad behaviour needs to be dealt with,” usually with a consideration of how to deal with issues after the event. Some teachers find it more difficult when we try to analyse why children might behave in an unacceptable manner and think about how the environment and the attitudes around them may impact upon their self-control. On a number of occasions when teaching I have begun with an instruction – “put your hand up if you have behaved badly today.” I have done this with both children and teachers. Most individuals are quite honest about this and will (often gingerly) raise a hand. In fact I find that children are usually more honest about this than adults. If one of my class doesn’t raise their hands I will sometimes interrogate them (gently) by asking them to take me through their last twenty four hours. Now, occasionally I have found a saint amongst my class full of reprobates, but more often than not we uncover some incident that on reflection may have been dealt with differently. The truth is that we all behave badly from time to time. It is equally true to say that when asked about why we have acted in this way we make a bold effort to justify ourselves. The ways in which we behave are influenced by many factors, our mental and physical well-being, the environment in which we find ourselves, the behaviours of others, our feelings of justice or injustice – all of these and more can have a profound effect. Knowing this might make us pro-active rather than re-active in attempting to create the conditions in which children will want to behave well. The main difficulty with reaction is that we are more likely to escalate the problem. Coupled with this is, of course, the self-fulfilling prophecy that comes with labelling children. A few years ago I visited a school in a county not far from here. At playtime I went onto the playground and spent a fruitful fifteen minutes talking to the children, most of whom were engaged in a variety of games. However, I noticed one boy, perhaps eight years old, sitting alone on a bench. I approached him and asked if I could sit and talk to him and he nodded his assent. “Why,” I asked him, “was he not playing games with some of the other children?” His answer surprised me greatly. “Teacher says best not to. You see I have EBD (emotional and behavioural difficulties) and it’s bound to end in tears.” Having asked the boy his name, at the end of playtime I asked his teacher about him and the first thing he told me was that “he has EBD and is always difficult to manage.” How sad, I thought that not only this teacher, but the boy as well, views himself in such a negative manner. This incident was five or six years ago, I wonder if that boy still carries his label and whether it has made a difference to the ways he behaves today? How does one break out of such a cycle once it has been created? So this week as our students immerse themselves in the theories and practices of understanding behaviour and how to manage this in an effective and just manner, I have no doubt that they and the tutors running the course will be challenged. In many instances they will be questioning their own beliefs and expectations and recalling incidents in their teaching lives and how these have been managed. 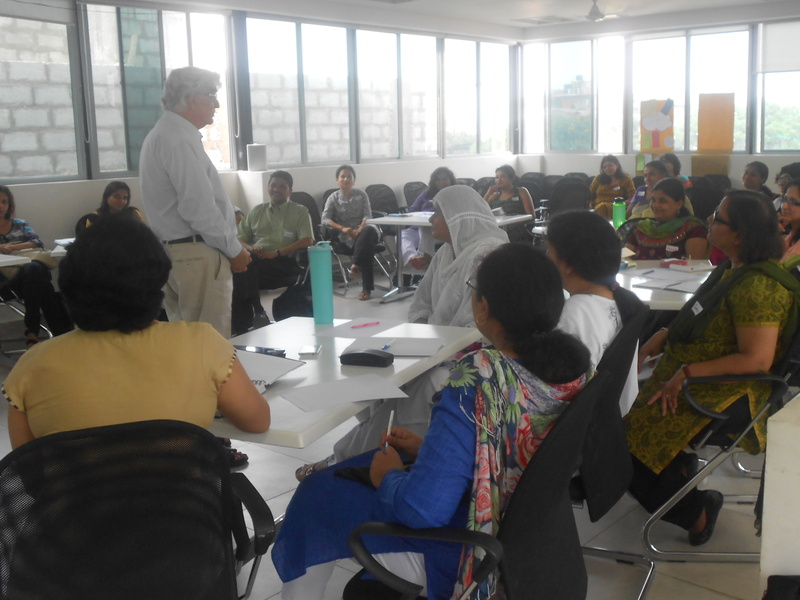 They are, of course reflective teachers who have elected to attend the course because of their professional commitment to their own learning. I have no doubt that both they and the course tutors will rise to the challenge. I look forward to sharing in their experiences when we meet for the next module. 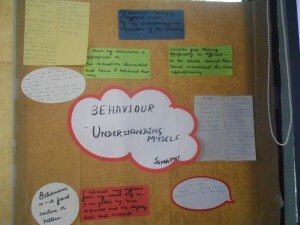 Sumathi has been analysing her own behaviour in order to understand that of others. In my experience Sumathi is a very well behaved lady.